Copyrights are assigned for various years to Davis Publications, Inc., and Karl-Heinz Prieß. The copyright of the translations is assigned for the year 1984 to the publisher. Apparent first printing ("Printed in Germany 1984" is stated on copyright page). Month of publication from Science Fiction Times, November 1984. 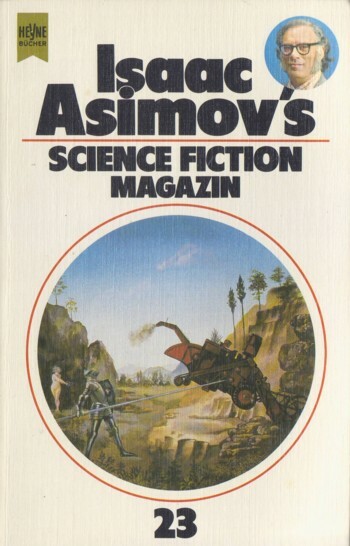 It's 'Asimov's' on the cover, but 'Asimovs' on the title page. The last story is original to this anthology.